Many of you would be aware of our previous Cookies & Cream Showband, which for many years served our music program well and consistently performed at a very high level. 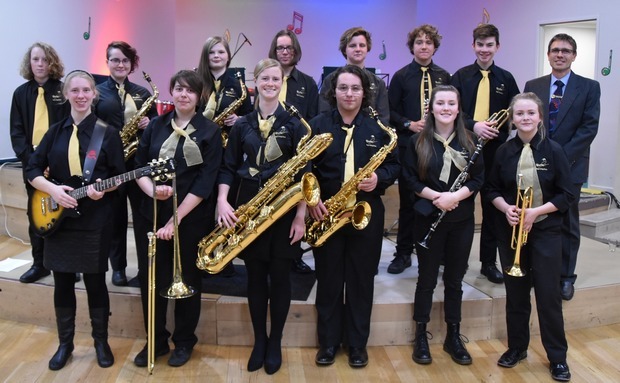 At the beginning of last year the Showband changed in its nature and with fresh auditions for members the focus was shifted to provide further skill building and performance opportunities for our developing numbers of brass and woodwind students. With the fresh balance of instruments the group can now enjoy a mixture of swing, funk, jazz and pop songs. The members have enthusiastically embraced the change. Their performance will show the diversity of styles the band has recently been preparing. The songs are also some of their favourite pieces they like to play. We hope you enjoy their performance. The Nagle Showband is led by Mr Long. 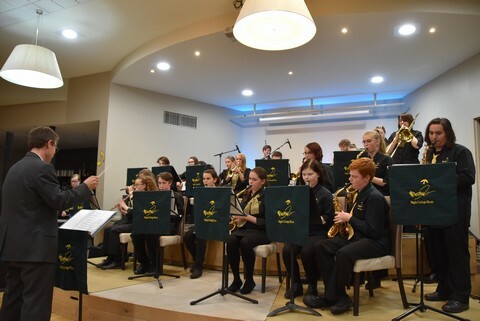 Nagle College Concert Band consists of students from Year 8 to Year 11. The group rehearses Thursday afterschool & enjoy making & playing music together as well as the social element that goes with that. A lot of work has gone on behind the scene to encourage students to join & become part of the band, & it is now enjoying the success of this work through increased numbers. The band has had little change in players from last year, so is fortunate to be able to perform so early in the school year. Students enjoy playing popular and well-known songs as part of their repertoire.